Home › Society › It’s time to hang your boots Advaniji ! That, most of us don’t know when to stop, is a known fact. We work hard, struggle, survive, succeed and then relax hoping to reap the well deserved benefits of our struggle. Time flies and we remain cocooned refusing to sense the changing winds. The resulting conflict leads to a lot of emotional turbulence and gives birth to a sobbing and sore old man living in his past. 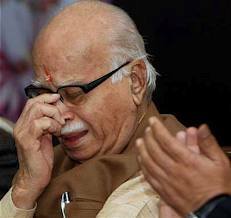 Pictures of a weeping Advani at recent book launch function is an example of this conflict. 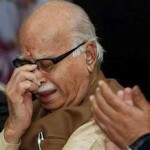 Frankly, Advani has wept too often in public for it to be a news anymore. For a man who was termed the iron man of BJP, who was projected as a strong leader capable of taking tough decisions, public crying is a little too frequent. What’s so special about book launches that force a flood of emotions out of him. Do those books directly or indirectly touch important phases of his life, remind him of his glory days ?but shouldn’t that make him proud and boastful? Instead we see a sorry figure sobbing in full public glare mindful of the fact that media and opponents will make a story out of it. Advani is an old school shrewd politician. He played his part in Indian politics and is often credited with making BJP, the force it is today. At the peak of his politics during Ayodhya, tens of millions of people were following him and he was the undisputed leader of BJP. He also cultivated and patronized a slew of second rung leaders at national and state level who remained loyal to him, for the most part. That Advani nurtures prime ministerial ambitions is no secret. He’s served in government in various capacities and even became deputy prime minister during NDA rule. Elections since 2004 were fought under his leadership and each were a bigger disaster than the previous. He tried winning over Muslim votes by expressing regret for Babri demolition and even went to Pakistan to certify Jinna a secular. We all know what a monumental mess that turned out to be. He forced Bihar BJP to take a subservient role in government formation despite being the larger partner and allowed Nitish Kumar to be Bihar chief minister. Nitish Kumar is often called Advani’s stooge. No wonder he followed Advani’s steps in visiting Pakistan in search of Muslim votes. Advani also indulged in behind the scene games to demolish anyone whose rise within BJP threatened his position. His cronies would oppose and slander any challenge. No where was it more evident than in case of Narendra Modi. From opposition to downright insult, everything was tried by the likes of Nitish Kumar, and when everything failed Advani resigned from BJP like a sore loser. The reason for his resignation, he said, was because BJP was no longer following the ideals of its founders and only serving wishes of some individuals. He forgot this applied more to him than Modi, who got promoted only because of a groundswell of support from people and cadres. Almost all political decisions Advani took boomeranged and have hurt BJP more. From party cadres to general public everyone thinks its time for Advani to take a backseat and yet he refuses to wake up from his delusions. If one follows his recent public speeches, it’d be evident that he is a man living in past. His frequent public sobbings emanate from this delusion and sense of entitlement that party owes him the PM post. He has embarrassed his party through his blog posts in the past and now he tries to convey his hurt in public by exposing his moist eyes. History has a strange way of repeating itself. In 1973 ,when he became the president of Bhartiya Jan Sangh, first thing he did was to expel the founding member and patriarch Balraj Madhok, who led the party to its biggest ever tally in parliament at that time. Mr. Advani should be thankful for not getting the exact same treatment from BJP despite his embarrassing dramatics. Instead of hovering around BJP like a “Atript Atma (Ghost)”, he should choose a graceful exit. His sobs aren’t getting him the sympathy he is expecting. He should know when to stop before he turns into the sobbing and sore old man we talked about earlier. Agree 100%. He is doing more damage at this point to Mr Modi’s momentum. He tries to put brakes on it every chance he gets. He should gracefully handover reigns to next generation and exit with pride and full support to next generation. Advani is playing the same role as Rahul Gandhi for congress. ” History repeats itself ” It was true in the past ,it’s true in present and will be true in future. If author thinks that its payoff time for Mr. Advani for what he has done in past , then get ready to accept the same for Modi in future. Its the track record of BJP to either get sidelined or will be sidelined. Everyone has a dream and its no crime to chase for it . Modi has a dream of PM chair and he is doing what he can to get it. Major question today for me is how automated and systematic system he has designed and defined in gujrat that being a CM he is not spending any time for his own state and everything is getting done. Nothing in this world comes for free. We will have to pay for it but time will tell what we will get out of it at what cost. 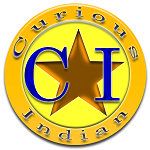 Entire episode of this melancholy speaks about short term memory loss of Indian people . Chances of Modi’s leadership bringing victory in 2014 seems to be remote. Even in Delhi in spite of his huge public meetings,the vote share has come down by 3% from 34 to 31. In other states like MP,Rajasthan & Chhattisgarh even without Modi BJP would have won. That is why Modi supporters were reluctant to wait for the completion of election of these 5 state elections and the result of Delhi has come as a shock and what happened in Delhi is an indication to come in the centre in 2014. Neither Congress nor BJP fronts will be able to gain majority of their own. AIADMK & TMC also followed in the footsteps of BJP and declared Jayalalitha & Mamata as PM candidates of their party. Now BSP, SP & JDU may also follow suit. So it will be election for PMs than election of MPs who are empowered to elect a PM. Let us wait and see what is in store for us in 2014. KICHDI GOVERNMENT? Leader like Modi comes once in centuries. He is fighting for the cause of Hindutva and everybody’s development boldly and decisively. Hindutva taught world how to respect other religions. In the name of secular all the corrupt parties are practicing ultra communal politics of strengthening Islam. If Islam becomes powerful most people will loose rights and freedoms. You can see what happens in all the countries where Islam is in majority. We have endured centuries of 1. Mughal barbarians rule then 2. Bristish colonials rule and finally 3. Corrupt Nehru dynasty rule. Atleast for the sake of human rights we can not let that happen. Advani needs to retire and support next generation to continue the fight. Cause and party is above oneself. If he follows RSS teaching its the cause that is more important than himself. Advani could have become Prime Minister if he wanted had he not voluntarily offered his space to the founder President of BJP and his senior from the BJS days of Shyam Prasad Mukherjee & Deen Dayal Upadhyaya. He had majority support among the MPs elected in 1996 & 1998. He expected the same treatment from his juniors which was not there. He is solely responsible for creating a bad precedent of declaring the PM nominee in advance before the 1996 elections. Even during the elections in 1977 when all of a sudden election was declared by Indira Gandhi during internal emergency no one had estimated or able to gauge the anger against Indira Gandhi for imposing Emergency. Had Bharathiya Jana Sangh known the backlash against Emergency they would not have merged their party with Janata Pary and made Morarjee Desai its chairman. When Advani took his Rathayathra on Ayodhya temple Vajpayee was not supportive of his plan. But as a principle he neither opposed it public or made his opposition made in party platform. Even after declaring Vajpayee as PM nominee, BJP campaigned in the name of party and its policy and programmes. Its main plank were always Hindu nationalism, Uniform civil code and abolition of article 370 from the constitution and rebuilding the temples in Ayodhya , Mathura and Kashi. Never ever in the name of any individual. So his own folly has now boomeranged against him and programmes of the party has gone background and individual personality has come to foreground which may give temporary results and will do permanent harm to the party. PARTY MUST ALWAYS BE ABOVE PERSONS & MUST DEPEND ON COLLECTIVE WISDOM OF ALL LEADERS & AN INDIVIDUAL SHOULD ONLY BE AN INSTRUMENT TO IMPLEMENT THE PARTY POLICIES. Advani got his chances in 2004 and 2009. His leadership failed to life the party. BJP lost national and state seats under him. He kept stabbing Modi through cronies. So i can say Advani got his chance and failed. Now he is just embarassing his party. It is BJP that failed due its lie of India Shining. Now also 200 & 2009 will be repeated Modi or Anybody. Had BJP lost all 4 states, you’d have said Modi lost, not BJP lost. Its always leadership that drives the party. Advani failed and now Gandhis are failing. Yes. U may b right. I may b wrong. Who is right or wrong will be known before 31 May 2014. But it will be neither Modi or Gandhi. May b any other Ms. M? Or surprise like Gowda. I think it will be you, next PM, dont underestimate your wisdom. It is high time to get retirement for Advaniji. I do not know why is he not able to see what others do. I don’t know how he got the name of Iron Man. Whenever Modiji touches his feet, instead of giving blessings, he simply avoids.